Engagement rings have to be special and spectacular as this ring resembles the commitment of two people. 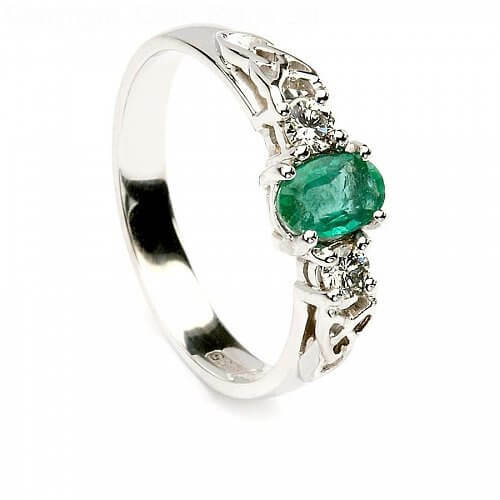 Thus glittering, shinning emerald stone rings stands to be a perfect pick for this occasion. As the emerald stone is said to preserve love and is even a symbol of hope and it even symbolizes happy and successful married life. 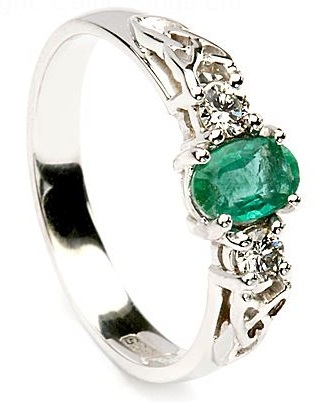 As this stone possess these qualities so many young ones love to have their engagement ring designed in emerald stone. 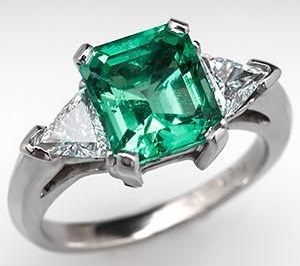 Let’s have a look at top 9 emerald engagement rings. Mesmerizing and attractive would be correct word for this heart shape ring. 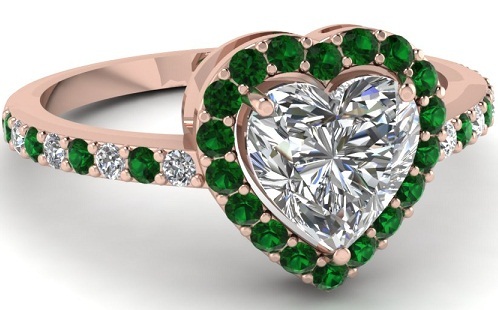 The engagement ring is designed in 14k rose gold with a heart shape diamond and all over it small sizzling emeralds are studded giving it a mind blowing look. 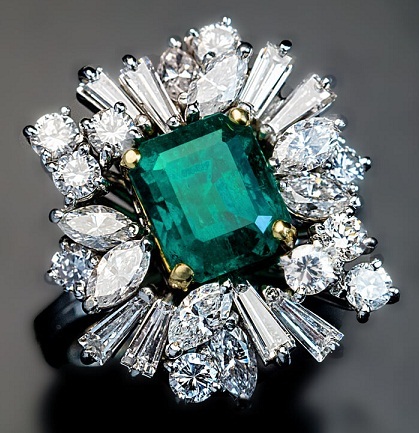 All over the ring uncut white diamonds and emeralds are embossed making it a big fat but cute engagement ring. This fabulous and attractive engagement ring is designed in white gold with an oval shape lustrous emerald crowned in the centre where in on both the sides sparkling solitaire is also engraved. An eye catchy and most appealing engagement ring of the event. Elegant and delicate is an apt word for this ring. 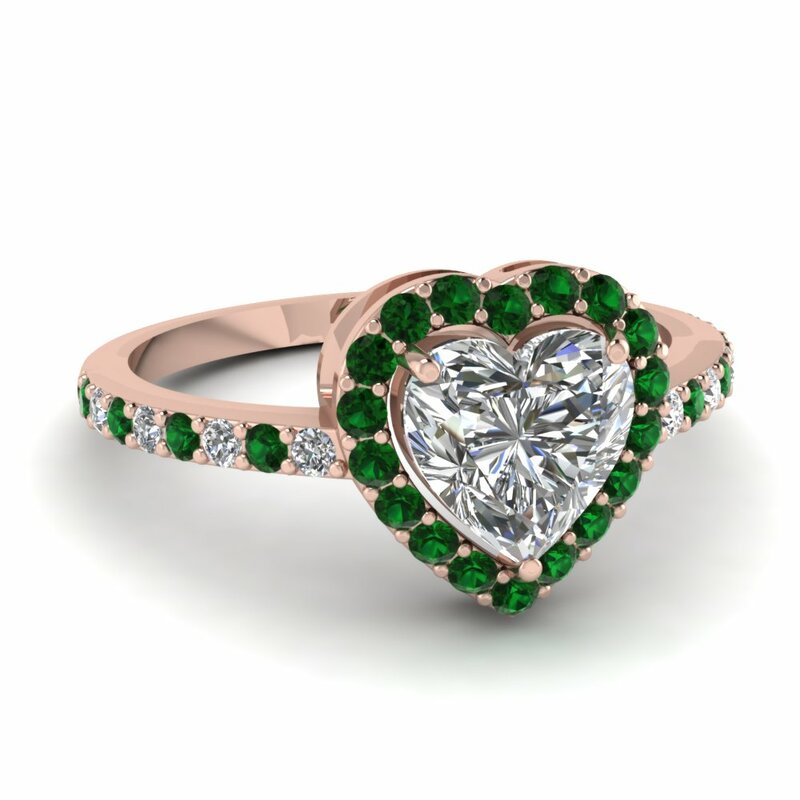 On the ring wonderful appearing emerald is studded where as on the sides small diamonds are embossed in a leaf pattern making it a fabulous looking engagement ring. 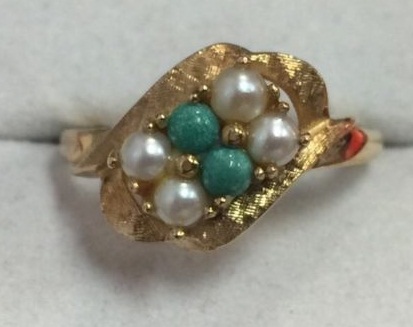 The ring is designed is auspicious, sizzling gold where in a stunning combination of white pearl and emerald is designed on the ring thus making it appear marvellous. The ring is quite wide in size making it visible when worn on the fingers. 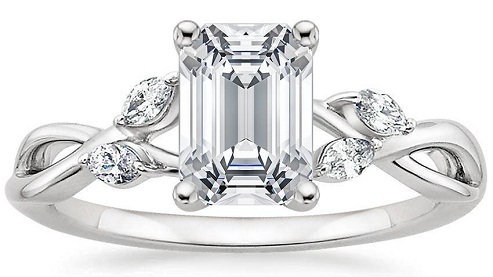 Elegance and royal looks can be perfect words for this ring. 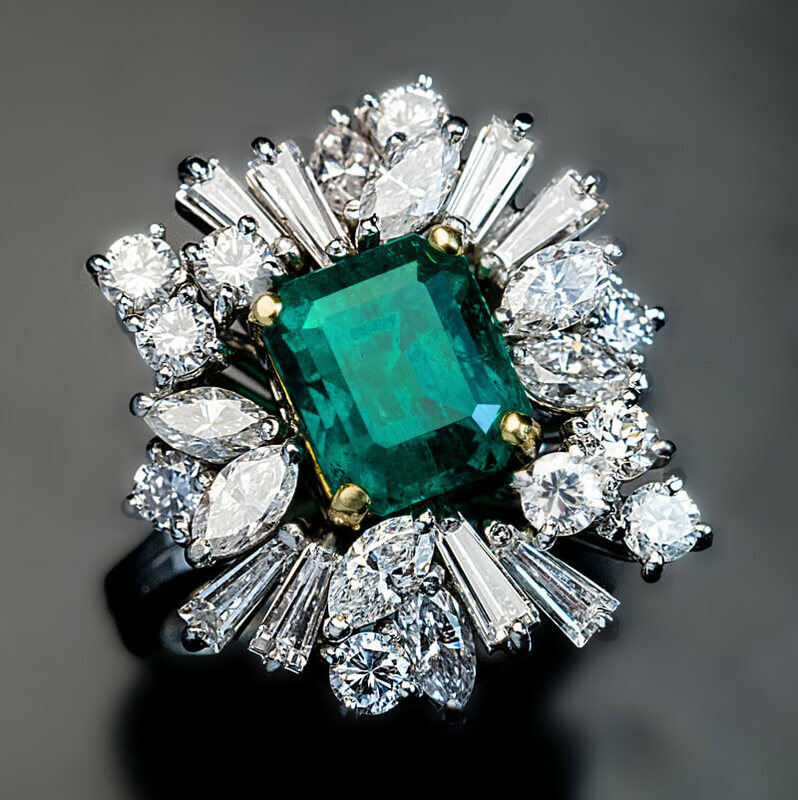 In the centre of the ring square shape emerald in embossed where as on its sides precious asymmetrical shape diamonds are engraved, giving a unique and a gorgeous to the engagement ring. 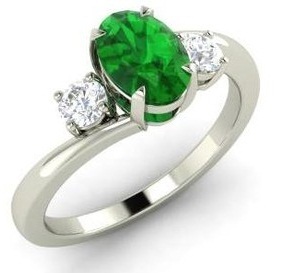 Its perfect engagement ring with emerald studded prominently on the top if it. 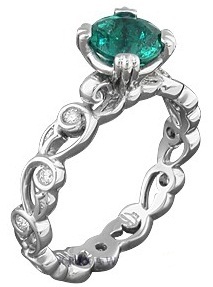 On the sides diamonds are studded in the Celtic pattern making it the most happening engagement ring. Its look very classy and grand for the occasion as it’s a very important day in a couple’s life. This stunning ring is designed in platinum on which heavenly looking square shape emerald is fixed and on the sides triangles shaped diamonds are hooked, giving an extra enhanced look to this engagement ring. 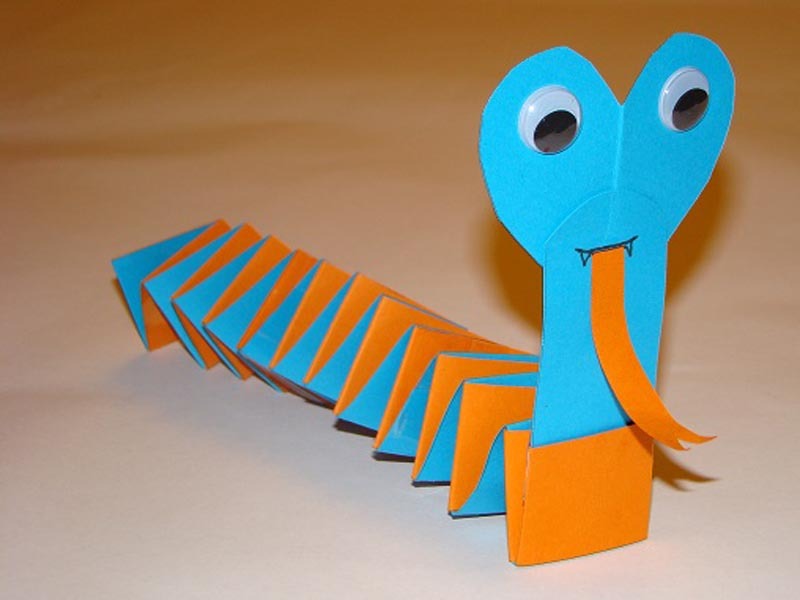 This type of rings looks stereotype and exclusively designed for engagement. 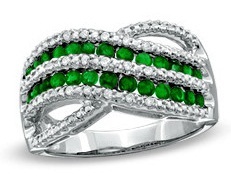 One of the classiest engagement looking ring is these criss cross rings with green emerald and white diamonds. They both are embedded in the criss cross pattern making it appear very beautiful and gorgeous. 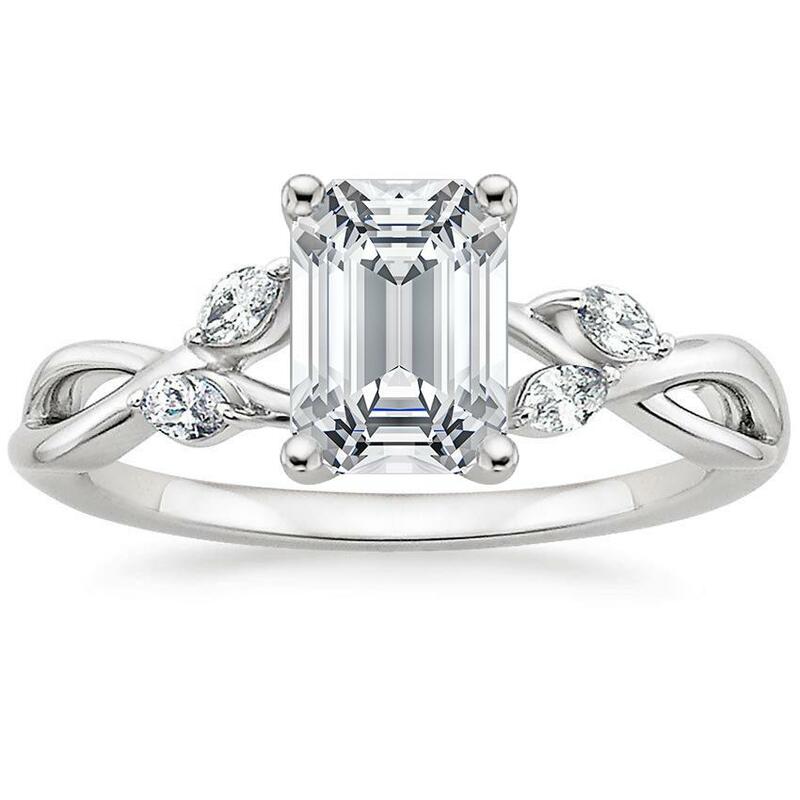 Emerald cut is one of the elegant cut those appears subtle yet elegant. This cut rings are open cut reflecting the flaws of the stone. The rings create an aura around the wearer and are one of the stylish engagement rings without being loud. 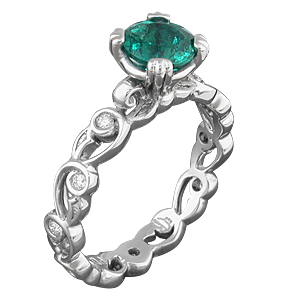 Emerald engagement rings are made from different metals such as gold, silver, platinum and many more with some mesmerising diamonds and other colour stones embossed on it. It’s even available in many different cuts giving it an exquisite and classy look and making it a perfect and eye catchy engagement ring. So now you can pick the one according to your choice and desire and look spectacular for that day.